Staircases have the potential to drastically change the layout and feel of your home. When designed right, they will increase your home’s resale value and add a unique, personalized element to your living space. 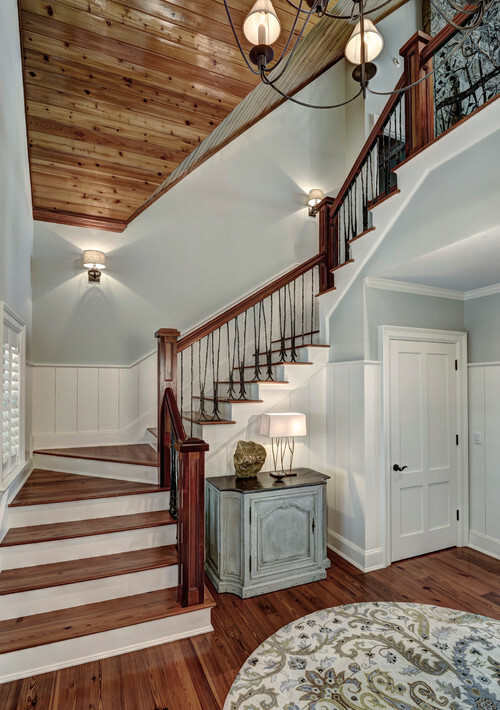 The staircase you choose for your home should be dependent on your design preference, the style of the rest of your home, your budget, and the durability you are hoping to achieve. Read on for some design inspiration! Here are four staircase design idea to consider, and the benefits that each will bring to your home. Glass staircases are a great addition to modern homes. They allow a steady flow of light between different levels and surrounding rooms, so your living space will appear bright and open. Balustrades are essential safety requirements for the staircases around your home, whether located indoors or offering access to outdoor balconies. The design options with balustrades are versatile. You can choose to add a frame to your glass staircase or keep it frame-free, depending on the look you are going for. This type of addition can be made without distracting from the design of your stairwell or home décor. Don’t allow the seemingly tedious task of cleaning glass scare you away from a glass staircase and banister. Glass can be easily wiped down with water and a microfiber cloth. As long as you stay on top of cleaning smudges and fingerprints, your stairwell will maintain its beauty. This design type is typically on the higher price end, but the security and beauty that glass provides will be worth the investment. This type of design is ideal for stairwells that have walls on both sides in place of a banister. This choice can especially be catered to a quirky taste. Opt for a floral, avian, aquatic, geometrical, or abstract wallpaper! Whichever bold wallpaper you choose will serve as a nice contrast against a home with an otherwise simple white design. A plain-colored handrail can be bolted to either wall so climbers can still have assistance as they travel from floor to floor. Wide, sturdy slabs of wood will give your home a picturesque country look. High quality hardwoods like maple, cherry, and oak are available for those looking to make a greater investment in durable steps. If you are on a strict budget, you don’t have to stay clear of the wood option. You can opt for softwoods like acacia, pine, and poplar. No matter the wood type you choose, this material is a great choice for steps leading up to your home’s levels. You can bring your love of the sea into your home by giving your stairwell a beach theme! 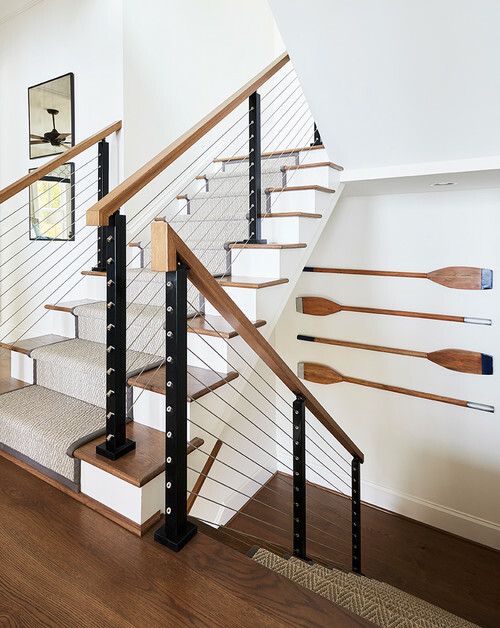 Choose a nautical knotted rope as a banister for an alternative and edgy addition. Paint the surrounding walls a sky blue and don them with beachy artwork. In this design, the stairs themselves will ideally remain simple, such as covered in beige carpeting. These staircase inspirations have hopefully given you an insight on what’s right for you and your home!